The pool opens up again Memorial Day Weekend! Sunday - Thursday: 10 a.m - 8 p.m. 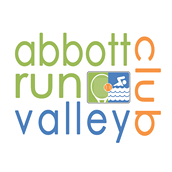 Founded on October 6, 1958, Abbott Run Valley Club is an equity member-owned private swim and tennis club. We are nestled in over 70 acres of secluded woodlands straddling the Rhode Island – Massachusetts border. We offer members, their families and friends, a safe environment for improving the quality of their lives through fitness, recreation, instruction, fun, and competition. Our season opens on Memorial Day weekend and runs through Labor Day weekend.